This year has taught me so many lessons in many areas of my life – and one of the recurring themes has been that self-care should be our top priorities. If you’re part of the planner community it’s likely you are the one who holds the responsibility of keeping it together for other people, are a giver, and often puts yourself last. I know that has been true for me. But what I’ve learned this year is that self-care is leadership, is primary before anyone else can be served by you, and is necessary if you don’t want to be caught up in resentment later. When we give of ourselves when we are depleted, it means we may be resentful and frustrated, which isn’t ever a genuine place to give from. The other thing I learned is that we must be real with one another. Instagram specifically is a place of happy vibes and if I am honest – which I endeavor to be – it feels so inauthentic to NEVER talk about bad days or the tough times, or to ignore what is happening in our lives. Not in a “tell-all” fashion, but in a way that feels OK to have a bad day, that we have doubts, that we have anxiety, that we couldn’t “just get things done” today. I want to help change that conversation so we can talk more openly about these things, and make it more permissible to talk about mental health challenges. Thus, we had an idea. The fantastic Alec (@fischrjournals) and I used to work together, and he is a passionate, creative soul who has been open about mental health. 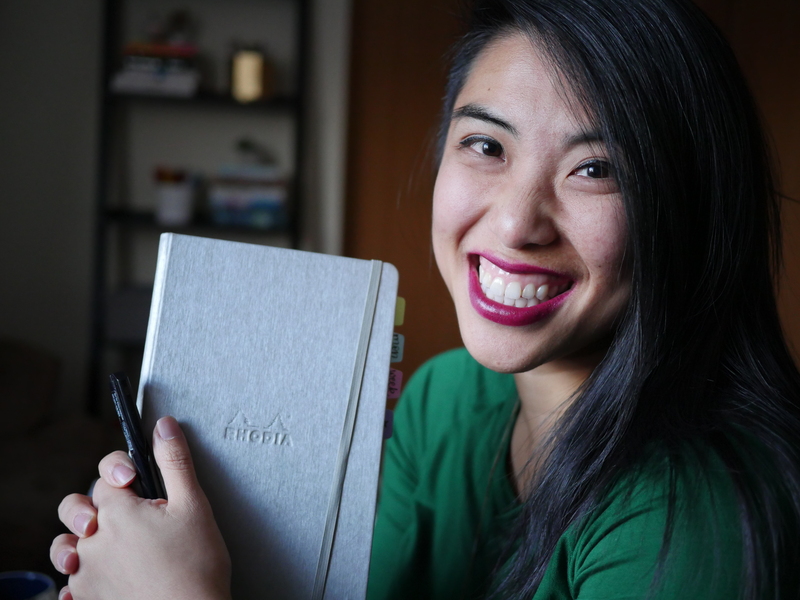 I’ve featured him on my blog before to share how he uses his bullet journal to thrive with mental health, and we wanted to take it a step further and invite ALL OF YOU to join us in making our self-care, self-love, and real talk a bigger part of our lives. Hence, the #cultivatingcare practice. We chose the words carefully. Cultivating represents a specific image of caring for a plant, tending to it everyday as it flourishes over time. It is not quick or easy – it is a practice, it is every day, and sometimes you don’t even see the results until later on when it becomes something larger, something new, and powerful. That is what we hope for you as well. I’m also torn between using the word “Challenge” since… well, although self care is a challenge, we don’t want it to be a “check the box” activity, or a competition. We hope that you will run with the idea that this is building a habit and frequent practice. HOW WILL THIS #CULTIVATINGCARE PRACTICE WORK? Unlike the other challenges I host like #Planwithmechallenge or #rockyourhandwriting, this one is a WEEKLY challenge. We didn’t want to rush self-care into a daily checkbox (kind of self defeating, right? ), so we have a focus for the week that we encourage you to reflect on or share about that week. The prompts are reflective and longer than a one-word response. Take time to think about it – and share how you would address it if you are comfortable, as well as how you incorporate these things (or could) into your bullet journal or planning system. There are no wrong answers here, you are NOT going to mess up – we want to see authentic answers. If you don’t resonate with a prompt, ask questions about it, or skip it! You do NOT have to be part of every single week’s practice. You can join in at ANY time and we welcome it. You can post multiple times for a given prompt as well. Follow along with me (@prettyprintsandpaper) and Alec (@fischrjournals) on Instagram, where we will repost some of our favorite ideas and shares, as well as the new prompts for each month. Each week, post your response to the prompts on Instagram with the hashtag #cultivatingcare and any other relevant hashtags like #bulletjournal. Feel free to tag us so we see it – remember, if you are private we won’t be able to see your response. Check in on the hashtag feed #cultivatingcare to see what others are posting, ask questions, offer encouragement – and create a community trying to be more open about the whole pictures of our lives and practice self-care. Take what YOU want out of this practice – make this work for you. This is YOUR practice and will absolutely look different from mine, or the next person down on your newsfeed. Go to YOUR edge. Share what you WANT – as long as you are cultivating what you want to cultivate, that is success to us. Are you ready?? Here are the prompts to start us off on JANUARY 1 on #selfcaresunday. It’s January’s Rock Your Handwriting Challenge!